When Should You Refinish Your Hardwood Floors? If your hardwood floors contain light surface scratches or are they are looking dull, then a thorough cleaning and one topcoat of finish may be all that’s needed to bring your floors back to life. We call this recoating. On the other hand, if your floors contain deep scratches and stains have been deeply imbedded into areas of the floor where the finish has worn off, you will want to consider refinishing. Refinish your floors and discover the possibilities! 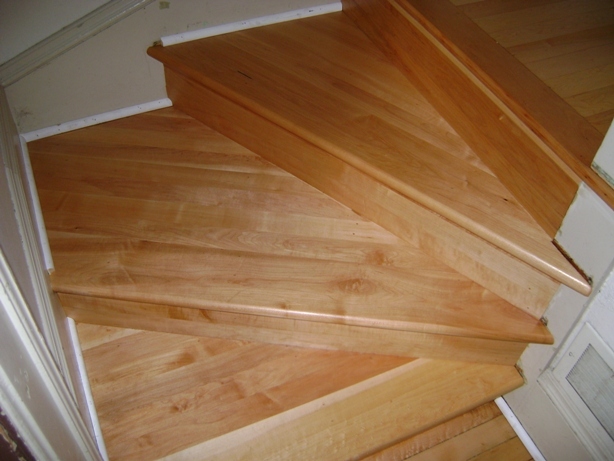 Years ago a beautiful hardwood floor was installed and thoroughly enjoyed by everyone invited to your home. Your active family has lived on the floor for a long time and now, as you look upon it, you are thinking your once beautiful hardwood needs a little help. You’ll be amazed how we can bring your floor back to life! You will be even more amazed when we show you how you can actually change the floor and give your home a whole new look! 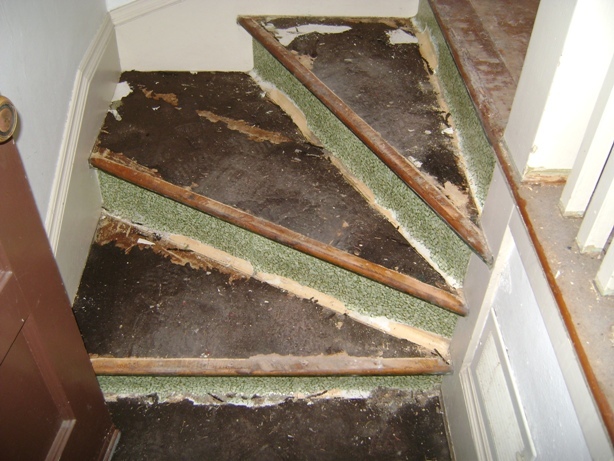 Sanding your floors with the wrong company can be very messy and such a hassle. Having to clean every drawer, cupboard, ceiling fan, light fixture, etc., is a daunting task. We have eliminated the nightmare! By using the best dust extraction system on the market we have dramatically reduced the amount of dust and improved the overall quality of your floor. We were the first company in northeast Wisconsin to offer the Atomic Dust Containment System. This unit removes airborne sanding dust from your home via a powerful, self-contained vacuum system that resides in a trailer outside your home. This creates a cleaner, healthier environment and eliminates airborne dust that may settle back into the finish. Don't settle...or the dust will! When to refinish your hardwood floor. Using Color to Add Personality to Your Hardwood Flooring. Finishing by Ralph's Hardwood, the final statement in excellence. Watch the video of our dustless containment system in action. We have always known about Ralph's good reputation and the dust containment system was worth every penny!